If you are like me and have no real background in engineering or chemistry, keeping the different 3D printing technologies straight may sound daunting. 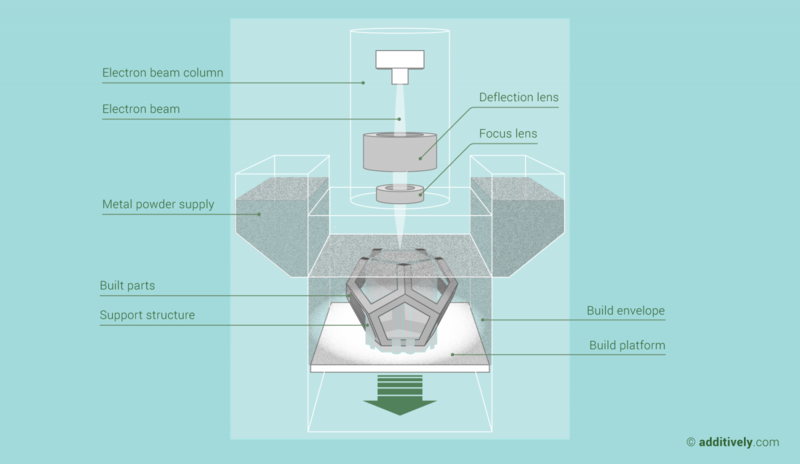 In this post, I will attempt to give a simplified overview of the seven major types of 3D printing technologies and summarize the key advantages and disadvantages for each. I hope this information helps anyone who is interested in acquiring a 3D printer understand the different processes better and direct you to a specific technology that suits your needs the best. 3D printing is an additive process that creates volume by adding material one layer at a time following a predetermined pattern as opposed to milling, where material is removed from a raw block. The American Society for Testing Materials (ATSM) has defined seven major additive manufacturing processes, each represented by one or more commercial technologies. 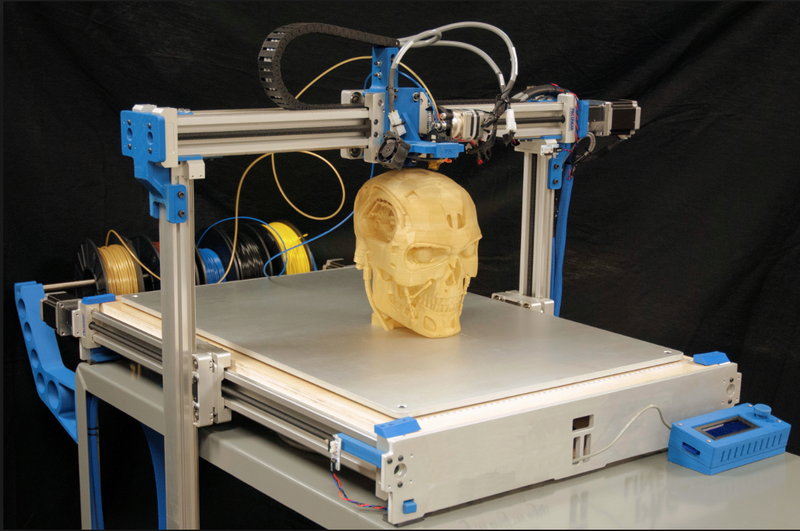 Invented over 30 years ago, SLA is the foundational technology of 3D printing. In this process an ultraviolet light is applied to a vat (large tub) containing liquid photopolymer (plastic). 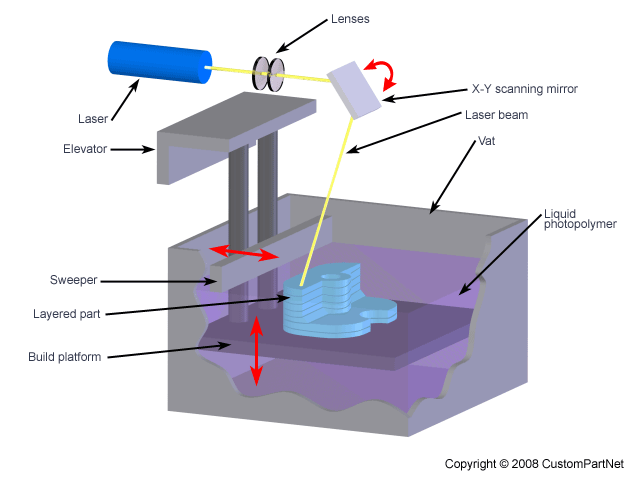 UV light is used to cure the liquid photopolymer (convert the liquid into a solid state). When a layer is completed, a leveling blade is moved across the surface to smooth it before depositing the next layer. This process is repeated until the model is completed. Support structures are needed which anchor the parts on the build platform and support overhanging structures. Once complete, the part is drained and excess polymer is rinsed off. A final cure in a UV oven is often required to further solidify the object. 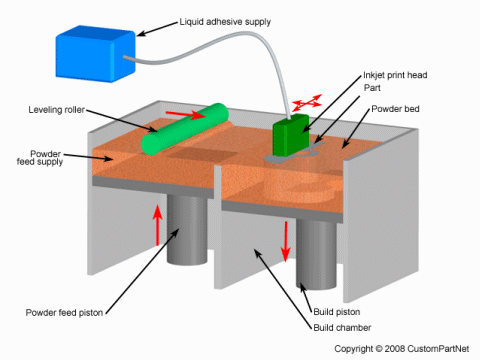 This process is analogous to a hot glue gun where a printer melts a cable roll of raw material (usually plastic) and extrudes it through a nozzle. Through the use of a second nozzle, a support structure can be built using a different material. The melted material is laid down on the build platform layer by layer, where it cools and solidifies. 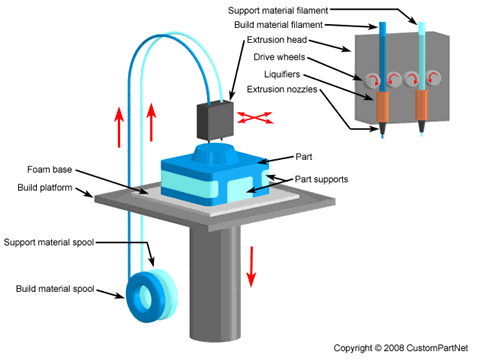 Once complete, support material is either mechanically removed or melted away. The majority of commercially available desktop printers are currently of the FDM type. 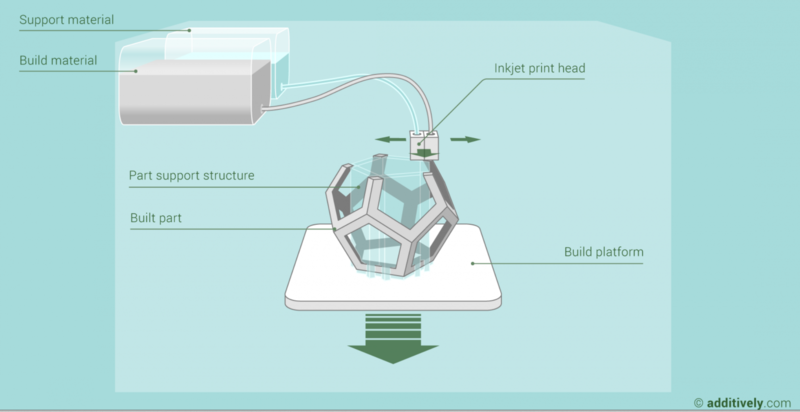 This process is analogous to inkjet printing, but instead of jetting drops of ink onto paper, a 3D printer jets drops of liquid photopolymer onto the build tray. Liquid drops are then converted into a solid state using light. Support materials are required which are either mechanically removed or melted away once building is complete. Material jetting can combine different materials within the same 3D printed model, in the same print job. Fully cured models can be handled and used immediately without additional post-curing processes. 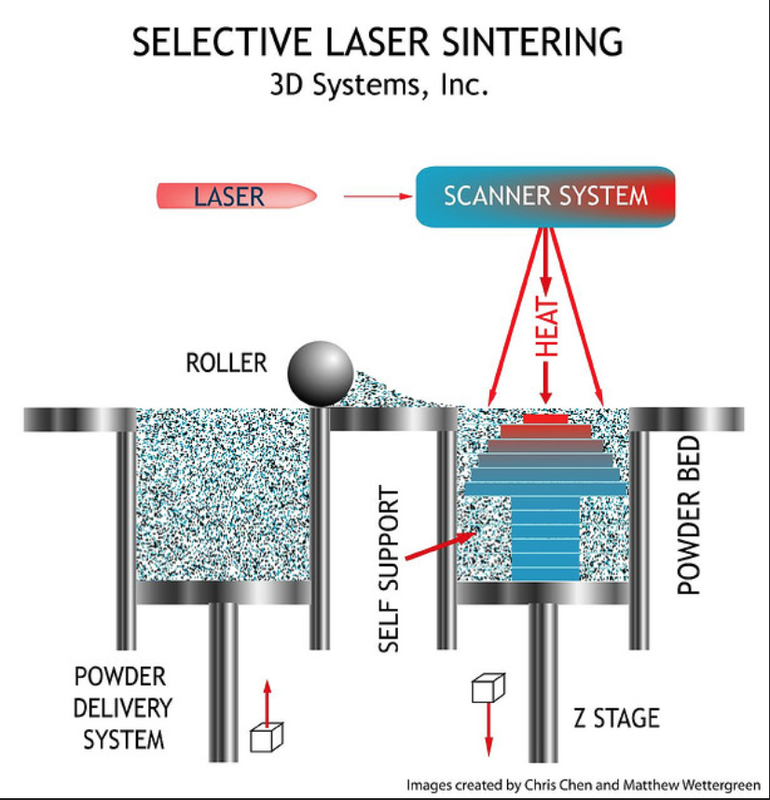 This process uses laser to selectively sinter (melt and fuse) a thin layer of powdered material. The build platform will then be lowered and the next layer of plastic powder will be laid out on top. By repeating the process of laying out powder and melting where needed, the parts are built up in the powder bed. Unsintered loose powder supports the object during build so no other support structures are needed. The loose powder must be removed from the completed object. This process is similar to SLS, but uses electron beam instead of laser to melt and fuse a thin layer of powdered metal into a solid object. Completed object is embedded in a block of loose powder, which must be removed. - Material recyclability is often possible, reducing potential waste. 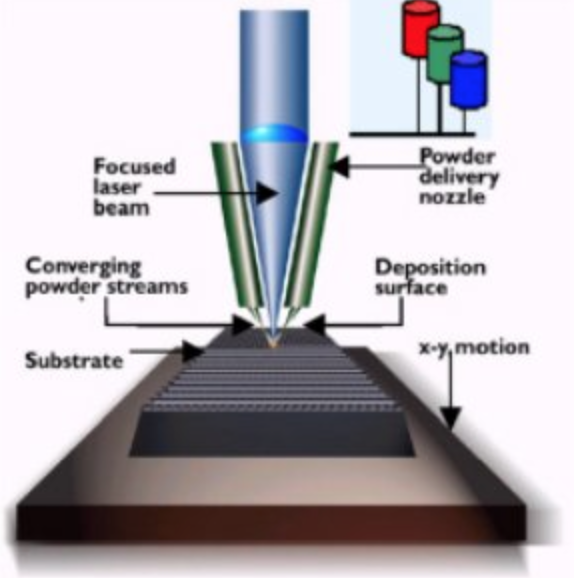 In this process a print head moves across a powder bed, laying down a liquid binding agent that glues the particles together to create a solid object. The built parts lie in the bed of loose powder, so no support structure is needed. This process stacks sheets of materials using binding agents (adhesives) or other joining processes such as friction welding and then cuts the edges of each layer to create the desired shape. 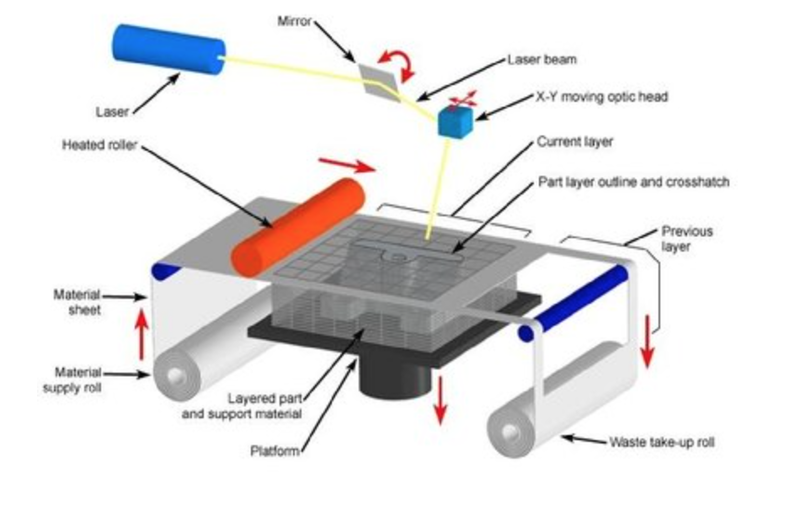 In this process material is directly deposited by jetting the build material into the heated zone created by a laser, electron beam or an ionized gas. Now that you have some idea about the different 3D printing technologies, I hope you will get a 3D printer of your choice and print your heart out! Tatiana, this is a really great overview. Thanks for sharing it with us. A discussion thread about this post has been started in the forums.